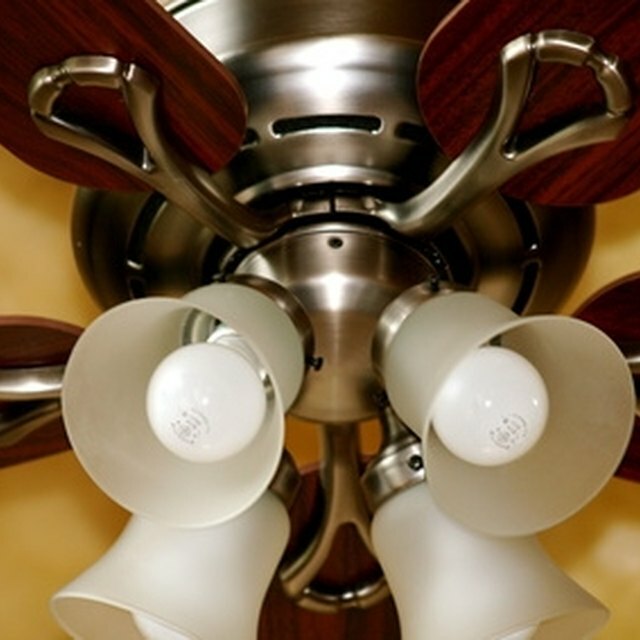 Ceiling fans are a economical way to keep cool and use less electricity than central air or room air conditioners. But, the savvy consumer should ask, how much wattage does a ceiling fan use? The number of watts a ceiling fan uses varies depending on the fan, but is calculated by averaging the amount of energy used over a period of time. Wattage mostly has to do with the size of the fan and its motor. Larger blades and a more powerful motor will move more air and use more watts. Every ceiling fan is different but here are some averages: 55 watts for a 36-inch fan, 75 watts for a 48-inch fan, and 100 watts for a 56-inch fan. Energy Star is a government program for rating efficient appliances. If your fan has an Energy Star logo (a sunburst with the words "Energy Star"), it meets the specifications. The Energy Star rating for a fan rates how much air it moves with one watt. At a low setting it must move 155 CFM (cubic feet of air per minute), medium 110 CFM, and high 75 CFM. The minimum airflow levels for Energy Star fans are: low 1,250 CFM, medium 2,500 CFM, and high 5,000 CFM.